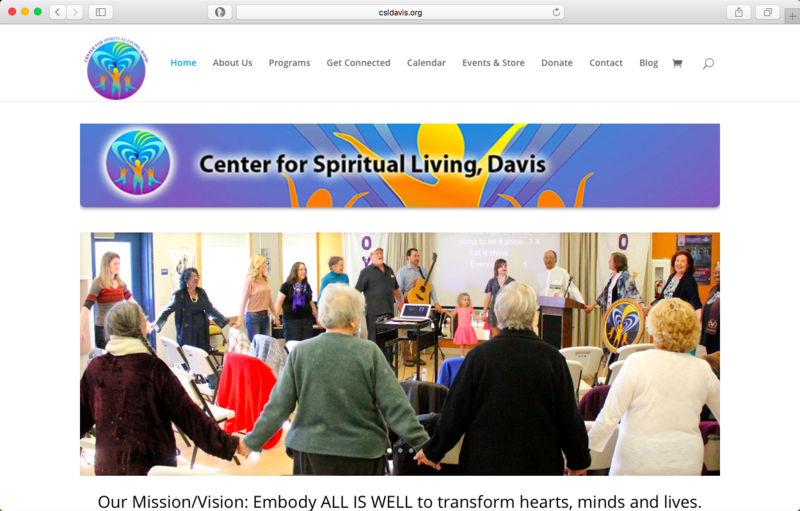 The Center for Spiritual Living Davis is in Davis California. 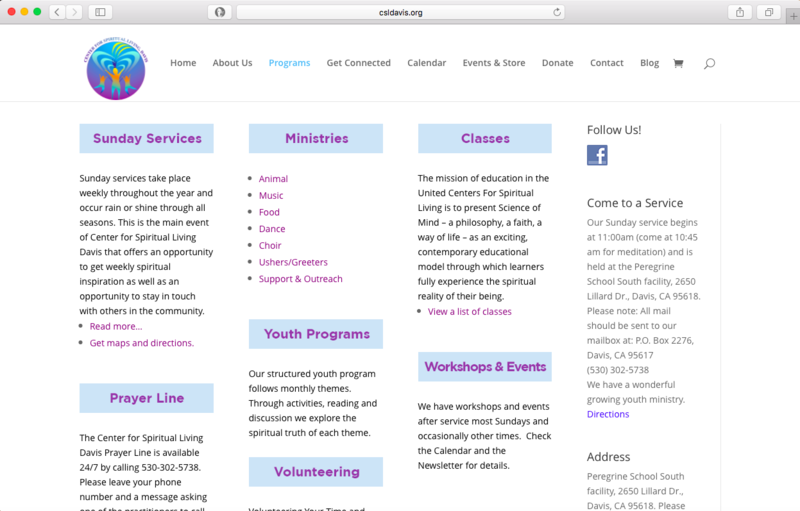 This is the second website that I have done for a church. This was more complex than usual site because it needed to have a lot of features. It has the ability to sell classes. 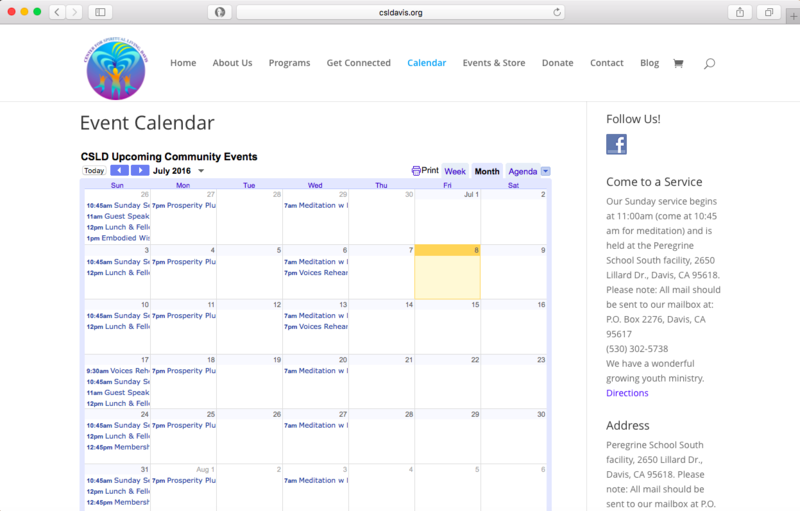 It has an event calendar, downloadable meditations, audio recordings or sermons, and a membership portal is on it’s way. 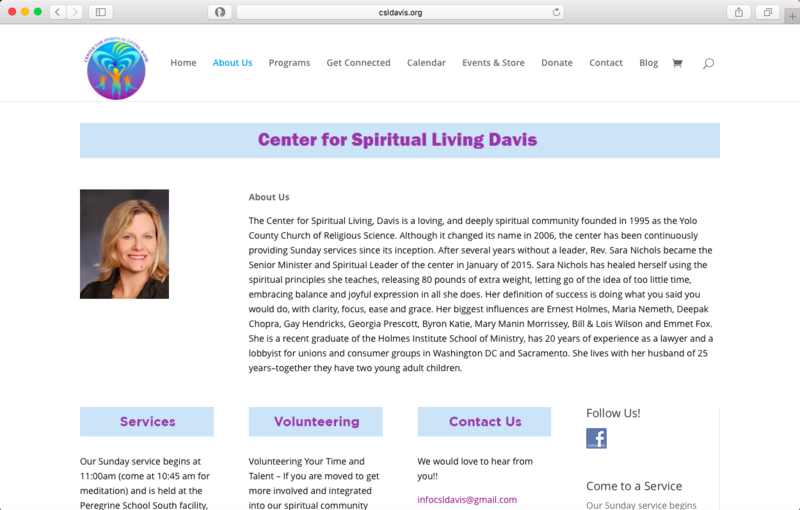 I worked with members of the church closely and in the end trained two of them how to use the website and do updates themselves. Please click on the image to the left to view the website, if you are on mobile the image will be above.